Grasspea (Lathyrus sativus) is a legume, a member of the Fabaceae family. The genus Lathyrus contains more than 150 species. It is grown as a pulse crop in the Mediterranean region, Ethiopia, West Asia, the Indian subcontinent and China. Grasspea is a hardy crop, tolerant of extremely dry conditions and yet able to withstand waterlogging and poor soils. For this reason, it is sometimes considered a famine food, eaten when other crops have failed. An important drawback is that grasspea contains a neurotoxin that can cause paralysis of the legs (lathyrism) if too much is eaten in the absence of other foods. The effect is compounded by the greater concentration of the toxin when the plant is grown under stressful conditions. Breeding efforts to reduce the risks of lathyrism are under way. Grasspea is primarily self-pollinating although there may be up to 30% cross-pollination. In view of this, precautions must be taken to maintain the genetic integrity of grasspea varieties during regeneration. 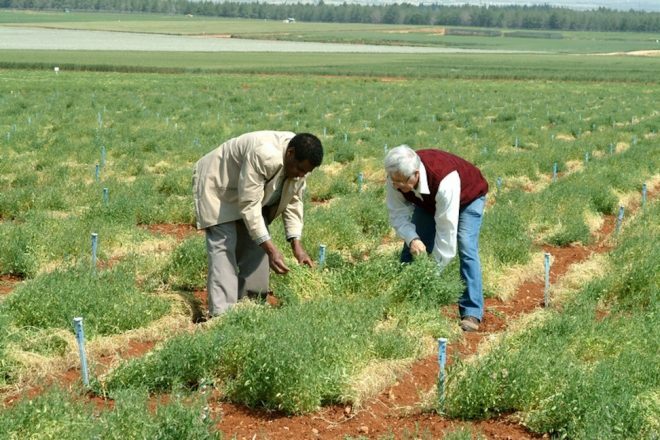 The largest genebank collection of Lathyrus is held by ICARDA. The Australian Grains Genebank, Royal Botanic Gardens, Kew, United Kingdom, N.I. Vavilov Research Institute of Plant Industry and Ustymivka Experimental Station of Plant Production, Ukraine, also hold large collections.